The effects of falling in love go far beyond the butterflies in the stomach or a longing desire for your significant other. Studies show that happy, healthy relationships increase blood flow to the skin, helping to oxygenate cells and make the skin look younger. Is your winter skincare routine crying out for a visit from Cupid? Recapture that love-at-first-sight glow with our skincare tips this Valentine’s Day. Keep the sweetness without the sugar rush! Ever wondered why chocolates are such a popular Valentine’s Day gift? Chocolate contains the PEA, or phenethylamine, compound. Just like falling in love, PEA triggers endorphinsand lights up our nervous systems’ reward centres. For a healthy alternative to chocolate that still gives you that puppy love rush, try the humble banana. Nature’s simple superfood is also packed with phenethylamine for that fuzzy feeling. Why not treat the one you love with these whole-wheat sugar-free banana pancakes? Your skin will certainly thank you. The benefits of eating bananas don’t stop there – alongside happy chemicals, they’re also rich in prebiotic fibre. While you’re treating your nearest and dearest to pancakes, prebiotic fibre is working hard to feed your body’s probiotic, or “good bacteria”. These live inside the digestive system and help to reduce inflammation, preventing redness and acne. While you’re cooking up a storm, don’t forget to quench your skin’s thirst. Not only will regularly drinking water prevent flaky, wrinkle-prone and dry skin, it will also help to rid the body of toxins. On the flipside, we might feel like teenagers when we’re in love, but we don’t miss the spots! Drink eight glasses of water per day to stop your skin from producing excess oils. You might be swapping the bikini for the duvet this winter, but remember to protect your skin from the winter sun. UVA rays make up 95 per cent of the sun’s raysand are not blocked by clouds, so make sure you choose a winter skincare moisturiser with a sun protection factor of at least 18. Bonus points if you find it in a lip balm for those Valentine’s kisses. Did you know that we all naturally produce collagen? This miracle protein helps to protect bones and muscles, as well as keep skin firm. However, as early as 25 years of age, collagen production starts to slow down. Thankfully, we’ve found the science-backed equivalent to the Fountain of Youth. By taking Bioactive Collagen Peptidesenriched with vitamins in delicious soft chews, we can enjoy better skin elasticity, reduced cellulite and fewer wrinkles. Whatever your age, just three daily chewspromote healthier skin and nails, and can be added easily to any skincare regime. Treat yourself on your daily commute or with meals – no mirror required. When your daily winter skincare routine needs a boost, speaking to a self-care professional can work wonders. The Abigail James skincare method, for example, uses sculpting massage techniques to encourage blood flow to the face, flush out toxins and refresh the skin. 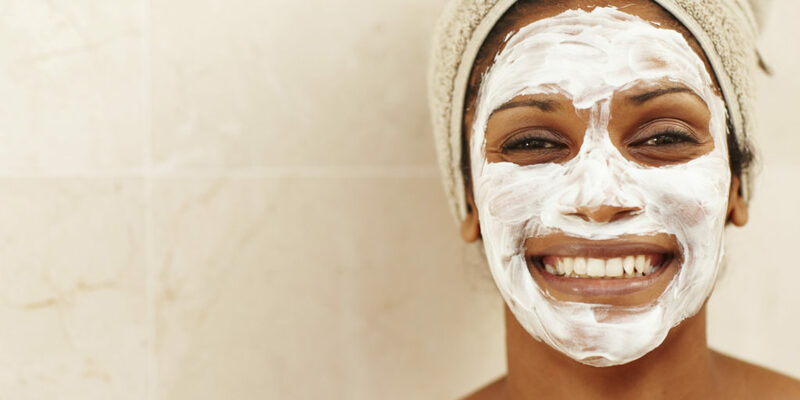 These simple facials and other non-invasive treatments are ideal for reducing stress with instant results: perfect for that Valentine’s date. Sleeping beauty is more than just a fairy tale. When we sleep, our bodies rebalance our hydration levels, eliminating excess water. This helps the skin to recover moisture and promote a healthier glow. Healthy levels of shut-eye also help us to bust the production of the natural stress hormone, cortisol. For a guaranteed solution to red patches, aim for eight hours a night. There’s a reason why a warm embrace or simply holding hands with the one we love makes us feel good. Just like sleep, skin-on-skin contact also reduces cortisol production. For example, in a study on MRI patients, holding hands was shown to reduce anxiety. This Valentine’s Day, let your loved ones know you care, and your skin will love you back! Learn more about the benefits of nutritional supplements for winter skincare at Ellactiva.